In the rural Class 1A classification, anything can happen on any given Friday night. 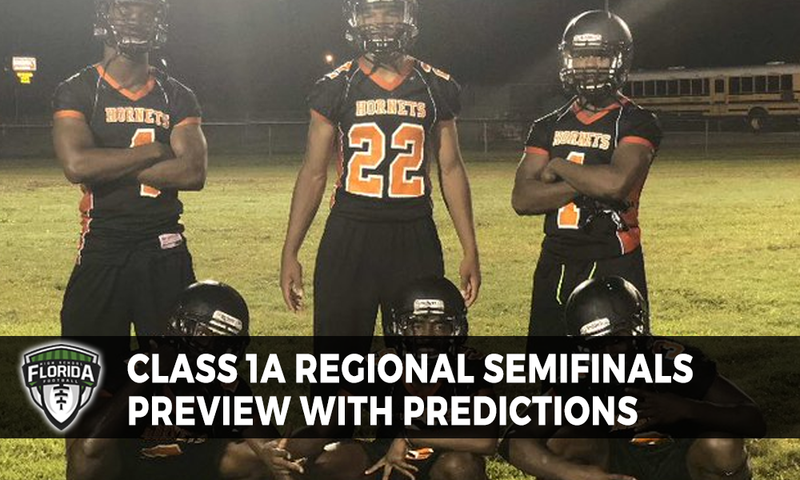 That is why with the regional semifinals here, all eight games will have to be watched closely because the games are won in the trenches in these small towns and they truly do leave it on the field. This would be the 74th meeting for both teams going back to 1950 if they were to have met in the regular season as scheduled, but ultimately canceled due to the Hurricane Michael … in the 72 meetings on record since 1950, with playoffs included, according to Florida high school football historian Richard Burton, the visiting Tigers hold a tight 38-32-2 lead on the series over the host Sharks … This game will have a lot more meaning it to it than just a playoff game as both teams were severely impacted by Hurricane Michael just over a month ago … Last week Blountstown defeated No. 5 seed Cottondale 28-6 in a game that was played at Liberty County in Bristol as Blountstown’s own football stadium was partially destroyed by Hurricane Michael … Port St. Joe easily took care of business last week against No. 8 seed Liberty County, posting a 69-0 shutout … This matchup pits former Blountstown and current Port St. Joe head coach Greg Jordan against one of his longtime assistants, who is now the head coach for the Tigers, Beau Johnson … Watch out for quarterback Trent Peacock for Blountstown as he is a dual-threat type quarterback as he scored three touchdowns last week (two rushing, one passing), plus converted two, two-point conversion (one on the ground, one through the air) … Athletes to keep an eye on for Port St. Joe include Khayyan Zacarro, Josh Butts, and Joel Bogaert who were some of the biggest contributors in last week’s win. POLL: Who wins on Friday night?